We're here to help you find the most cost-effective solution for all of your transmission problems. 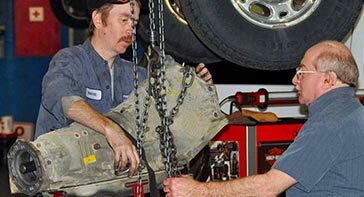 Whether it be a simple transmission fluid service, or repairing the current transmission, or even replacing it with a new (remanufactured) or rebuilt transmission. We service most makes and models of cars and trucks. 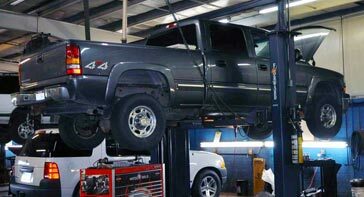 Services range from simple oil changes and factory recommended services to major automotive repairs. Call today 330-733-1125 to schedule an appointment. We'll keep you going! Our unique under carriage oil spray treatment for cars and trucks is a must with these Ohio winters. It helps prevent rust and corrosion and adds years of life to your vehicle. Don't wait in long lines, call 330-733-1125 to schedule an appointment. Superior customer service, quality work, and affordable prices are what set us apart from the other automotive repair shops in Akron! We appreciate the many loyal customers who've made our longevity possible and will continue to work hard to earn your business and to preserve our reputation for excellence in the Akron community.